Responding to California’s drought shouldn't involve austerity tactics, but rather making a blueprint for life in a climate-impacted world. In the midst of a severe drought, California Gov. Jerry Brown has enacted the state’s first mandatory water cuts. The restrictions are aimed at curbing municipal water consumption by 25 percent from 2013 levels, acting on 400 local water-supply agencies. Noticeably exempt, however, is the state’s largely corporate-controlled agricultural industry, which uses 40 percent of the state’s water and makes up just 2 percent of its economy. Fossil fuel companies, which used 70 million gallons of water for fracking last year and an estimated 2 million gallons each day, won’t face any restrictions either. In an op-ed calling for Brown to include agribusiness in the cuts, Ted Rall asked, “Isn’t it easier and cheaper to regulate the water consumption habits of a few thousand huge farms than of millions of individual households?” Growing almonds alone, in fact, requires more water than the metro areas of Los Angeles and San Francisco combined over the same time period. Unsurprisingly, it’s wealthy Californians who tend to consume more water than their lower-income counterparts, according to a recent UCLA study. As one Los Angeles-based community organizer told the Los Angeles Times, “South L.A. and East L.A.,” two poorer areas of the city, “have done their part. Now the affluent communities need to ante up.” While class-based differences in water consumption are important to point out, there’s a bigger issue at hand. Both of these arguments, along with the media’s renewed vilification of water-intensive almond products, are missing perhaps the restrictions’ most troubling facet. Responding to California’s drought isn’t about shaming consumers, governors or even crops, it’s about making a blueprint for life in a climate-impacted world that isn’t driven by the logic of austerity. In all likelihood, California’s hydro-cuts will be just the first in a long line of drastic, last-ditch policy proposals to emerge from state capitols as climate change’s impacts become more widely felt. As such, organizers, face a key opportunity to reframe the story about who’s responsible for both California’s water shortage, and the climate crisis writ large. Without a serious course correction, Gov. Brown’s cutbacks may well set the stage for a new and troubling wave of climate adaptation policies that blame individuals for industry’s externalities, and open the floodgates to back-door privatization. Asked why larger, water-hungry businesses were not included in the restrictions, Brown told ABC’s Martha Radditz that “They’re not watering their lawns or taking long showers” — which he apparently sees as the bigger problem. As Andreas Malm recently wrote in Jacobin, “ours is the geological epoch not of humanity, but of capital.” Laying out the contours of what he calls the Anthropocene myth, Malm explained that most popular conceptions on how to confront climate change, even among the sympathetic, fall back on “species-thinking, humanity-bashing, undifferentiated collective self-flagellation,” and an, “appeal to the general population of consumers to mend their ways and other ideological pirouettes that only serve to conceal the driver.” In other words, humanity is left stagnant, scape-goating our basic (fictional) flaws for a problem that’s the collective creation of the 1 percent, rather than the 99 percent. Now, with Gov. Brown chiding his state’s citizens for their wasteful ways, we’re seeing the Anthropocene myth play out in real time — and real, inadequate policy. 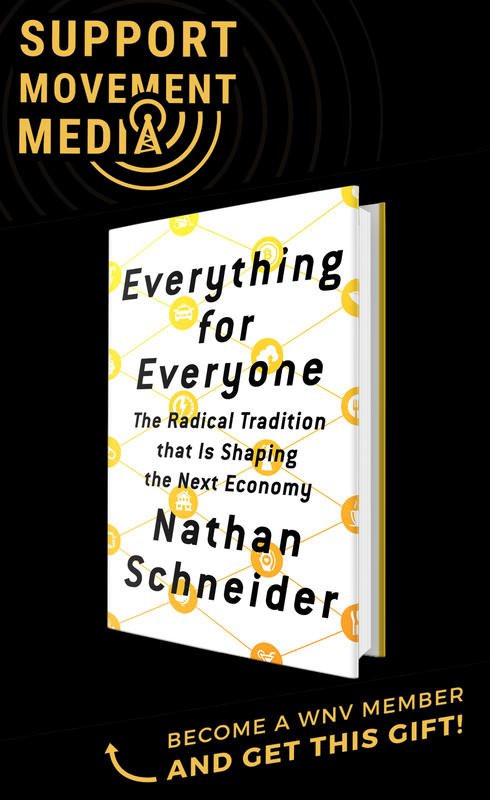 As in the case of fiscal austerity, demonizing individual taxpayers or consumers is a shoddy way to navigate society out of a crisis, but it may be a great path to privatization. Writing for Oil Price, a fossil fuel industry trade magazine, business consultant and finance professor Michael McDonald argued that, “Regardless of one’s views on the efficiency of government or the effectiveness of corporations, it is clear that the world is entering a new era where water is now fair game as an economic resource.” Three of the word’s major privately-owned water companies, RWE/Thames, Veolia and Suez/ONDEO, are now setting their sites on the United States’ long-public water infrastructure. The problem facing California is a microcosm of sorts for climate change itself, and all the more reason why adequately confronting it has implications well beyond the state’s borders. That’s not to say the drought — California’s most intense since record keeping began in 1895 — shouldn’t be taken lightly. 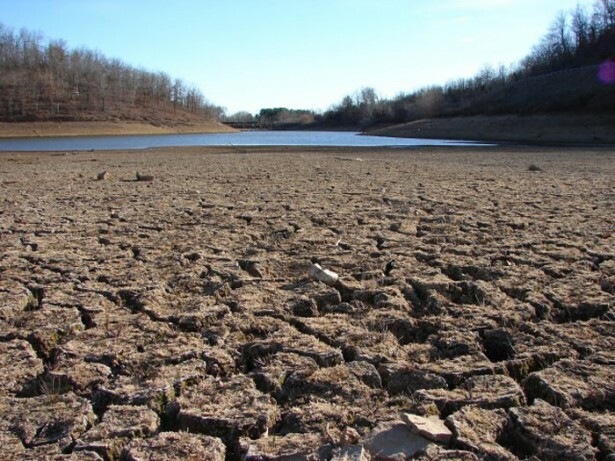 NASA scientist Jay Famiglietti warned that California has just one year of water left in its reserves, which have been steadily drained as a result of the climate-exacerbated drought. The drive to tackle this problem by focusing on spendthrift households is strikingly similar to that of austerity policies that try to slash deficits by scaling back and then privatizing such amenities as health care, public transportation and even water. The basic reasoning is the same: The masses are at fault for mismanaging resources, and the market can do it better. Rations, as some have framed the cutbacks, carry a less ominous connotation than austerity, though, stirring up heroic images of patriotic families in World War II conserving bread in bomb shelters as part of a collective national effort to stop the Nazis. The climate crisis is not a war, however, and neither is war itself the economic boom it was in the 1940s, when it brought with it fat defense contracts that saw the country through the last painful hump of fall-out from the Great Depression. A “Marshall Plan for the Earth,” unfortunately, is unlikely to emerge from a political narrative dominated by talk of shorter showers and smaller lawns. Thankfully, campaigners aren’t starting from scratch. It may have been the Occupy movement — and the dramatic, if predictable, collapse of U.N. climate negotiations two years earlier in Copenhagen — that gifted the environmental movement with the ability to name an enemy outside of themselves and humanity at large. The movements for divestment from fossil fuels and against the Keystone XL pipeline have each named clear corporate targets, and gradually started shifting the movement’s mainstream from individualistic talk of banning bottled water and riding more bikes to taking on greedy executives’ social license to operate. In California, green groups should be asking themselves every free market fundamentalist’s favorite question: How do we use this crisis to our advantage?